The Allez for years has stood out as a brilliant option for anyone looking to get started into road cycling. 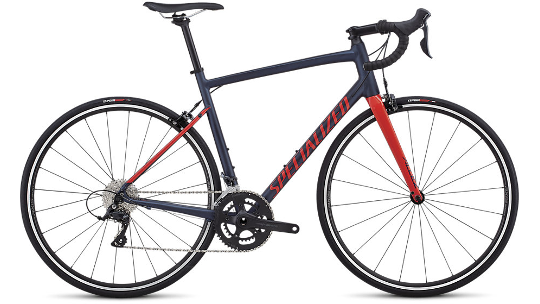 From its price point to its componentry the Allez hits the spot and this year's Allez 2019 range is no different. You will find the fork on the Allez is made from Carbon, boosting handling in tough conditions as well as lowering the overall weight of the bike. Integrated fender and rack mounts mean that you can take the weight off your back when commuting and instead put it on the bike. The E5 aluminium frame has been redesigned to save weight, resulting in 450g (1-pound) reduction in the frame and fork alone when compared to some models of yesteryear as well as being backed by Specialized's lifetime warranty. Finally, the Sport edition from the Allez range has been kitted out with Shimano's Claris groupset which is more reliable and durable than Shimano Claris offering you better value for money in the long term. E5 Premium aluminium frame features fully manipulated tubing with Smooth Welds that increase stiffness and efficiency while looking just as good as it performs. 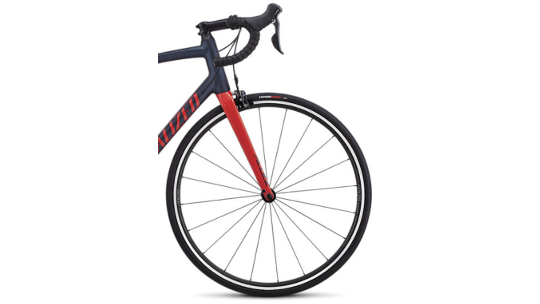 This Allez also features integrated rack and fender mounts, allowing you to get the weight of your backpack off you and onto a lightweight rack. This not only makes for a good road bike, but it also enables you to transform it into a fast commuter. 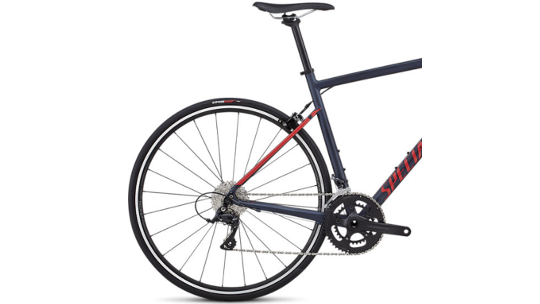 And with Shimano Sora components, Axis Sport wheels, and a stiff Praxis Alba 2d crankset, the Allez Sport is not only your perfect first road bike but one that you'll be able to ride for years to come.